Special Event: Frankfurt and Wiesbaden-Mainz Carnival Party! It's Carnival time, and you can feel it and breathe it everywhere you go! Frankfurt and Wiesbaden-Mainz Community Celebration!! 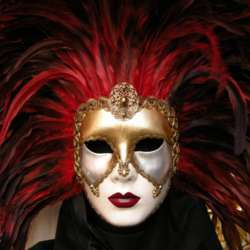 Slobodan and I are delighted to invite you to the InterNations Venetian Carnival. Join us at Yours American Sportsbar in Wiesbaden on Friday, 01 March from22:00 onwards. From 22:30 onwards a special DJ will play dance music exclusively for InterNations all night long. Every guest will be greeted with a welcome drink! Yours bar will have a special Cocktail price for us. Probably the best Bartender in Wiesbaden, CJ, will surprise you with his creations. You will be kindly asked to attend elegantly dressed and with a mask. During the evening we will have a “best mask” contest and the winners will be announced shortly before midnight. Non-InterNations friends, family, partners, and spouses are very welcome to join us, but please do encourage them to sign up, first. Last but not least: S-Bahn between Wiesbaden, Mainz, and Frankfurt will operate the whole night long. We are very much looking forward to seeing you there! If you want to give a hand and get 2 months for Albatross membership, send me a message.